Directed by Bryan Singer and starring Rami Malek, Lucy Boynton, Gwilym Lee, Ben Hardy, Joseph Mazzello, Aidan Gillen, Tom Hollander, Allen Leech and Mike Myers. 20th Century Fox has released a featurette for their upcoming and highly-anticipated Queen biopic Bohemian Rhapsody, highlighting how Rami Malek got the role of Queen’s legendary front man and how much preparation he put into becoming the iconic singer. 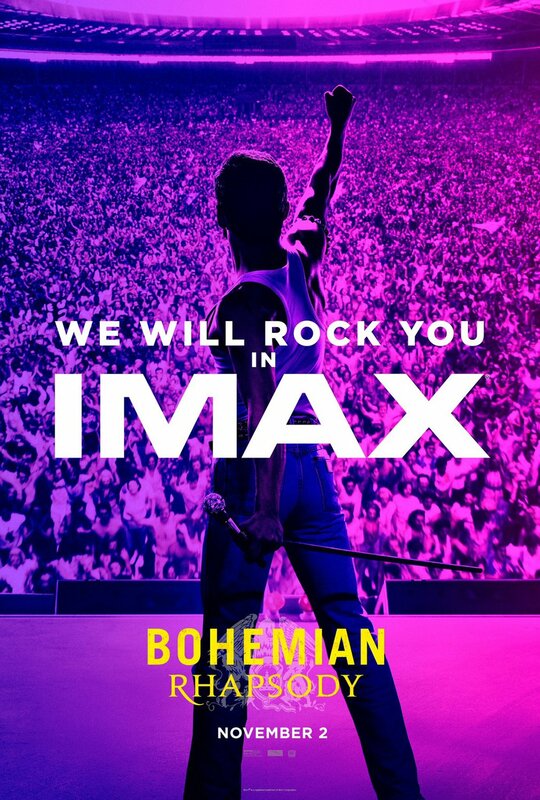 Bohemian Rhapsody is a foot-stomping celebration of Queen, their music, and their extraordinary lead singer Mercury, who defied stereotypes and shattered convention to become one of the most beloved entertainers on the planet. 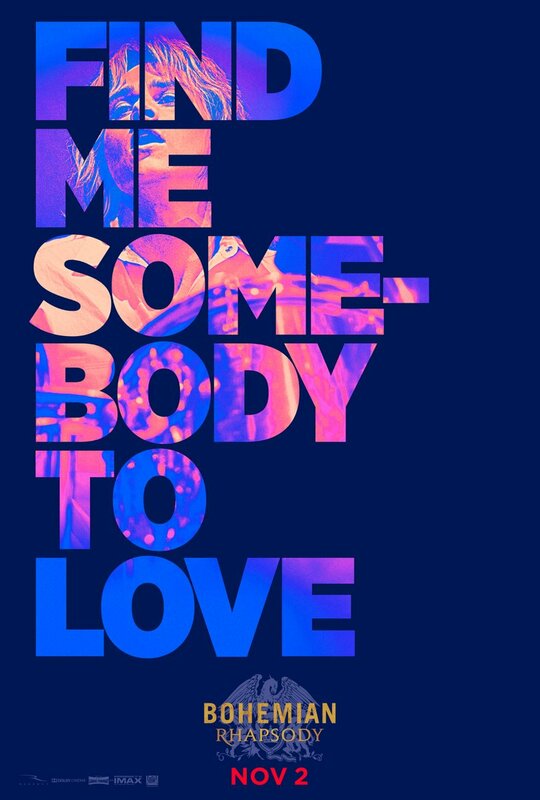 The film traces the meteoric rise of the band through their iconic songs and revolutionary sound, their near-implosion as Mercury’s lifestyle spirals out of control, and their triumphant reunion on the eve of Live Aid where Mercury, facing a life-threatening illness, leads the band in one of the greatest performances in the history of rock music. In the process, cementing the legacy of a band that was always more like a family and who continue to inspire outsiders, dreamers, and music lovers to this day. The film is directed by Bryan Singer and was written by Academy Award-nominated scribe Anthony McCarten (The Theory of Everything). In addition to Malek, the Queen band members will be played by Gwilym Lee, Ben Hardy, and Joseph Mazzello. Also starring are Lucy Boynton, Aiden Gillen, Tom Hollander, and Mike Myers. Bohemian Rhapsody will open in theaters on November 2, 2018. 20th Century Fox has released the official Bohemian Rhapsody trailer. 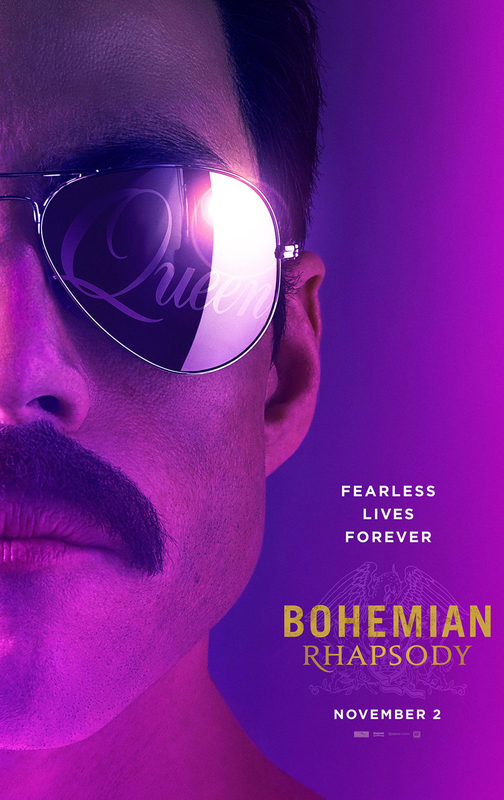 Bohemian Rhapsody is a foot-stomping celebration of Queen, their music, and their extraordinary lead singer Freddie Mercury (Rami Malek), who defied stereotypes and shattered convention to become one of the most beloved entertainers on the planet. The film traces the meteoric rise of the band through their iconic songs and revolutionary sound, their near-implosion as Mercury’s lifestyle spirals out of control, and their triumphant reunion on the eve of Live Aid where Mercury, facing a life-threatening illness, leads the band in one of the greatest performances in the history of rock music. In the process, cementing the legacy of a band that was always more like a family and who continue to inspire outsiders, dreamers, and music lovers to this day. 20th Century Fox has released the first Bohemian Rhapsody trailer. The film is directed by Dexter Fletcher (Eddie the Eagle) and was written by Academy Award-nominated scribe Anthony McCarten (The Theory of Everything). In addition to Malek, the Queen band members will be played by Gwilym Lee, Ben Hardy, and Joseph Mazzello. Also starring are Lucy Boynton, Aiden Gillen, Tom Hollander, and Mike Myers.